The warm breeze wafting through my open bedroom windows make for longful yearnings for the coming spring, though I fear it is yet too early for that spring to be upon us. I do hope you seized the opportunity to open your windows and let the world back into your home to air out the stagnating cold of winter’s chill, and I have greater hope that you find cause to venture outside to soak up some of this late winter sun and this less-than-seasonable warmth, for I fear the grasp of winter’s chill has yet to loose it’s hold. 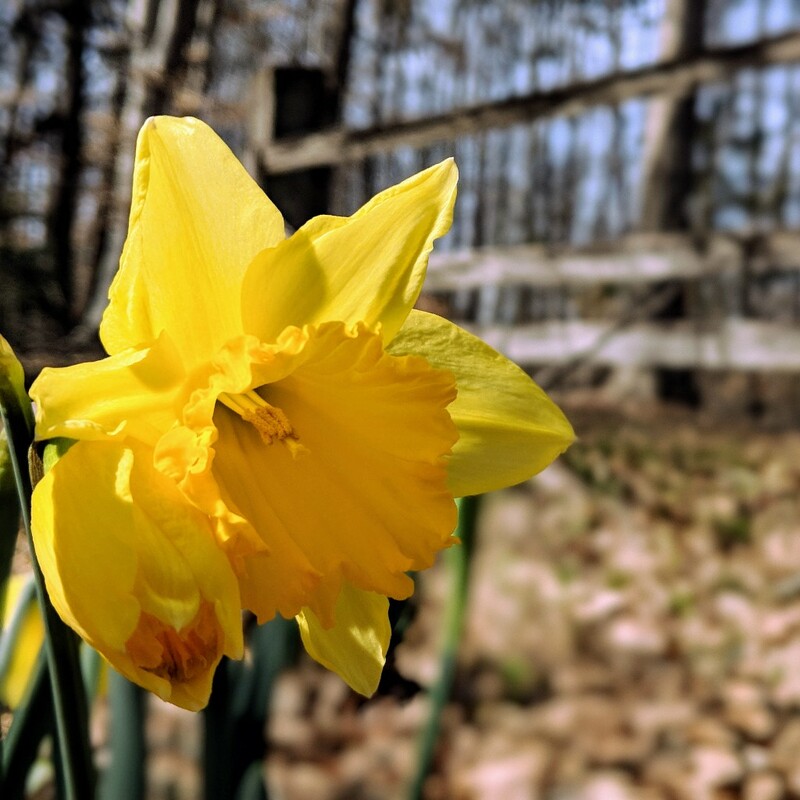 Days like today, telling of the promise of spring and the recommissioning of life after the winter slumber, have a way of invigorating the spirit, that right now is best depicted in the blooming of the yellow daffodils. This next week I hope to break ground and build the beds for springs first plantings, which I’m hoping to be putting in the first weeks of March. I’m also hoping to get my walk-in cooler set up and the rest of my post-harvest infrastructure built. Seeding in the greenhouse will also resume this coming week, as I start kale, collards, cauliflower, broccoli, cabbage, peas, lettuce, tomatoes, peppers and eggplant. 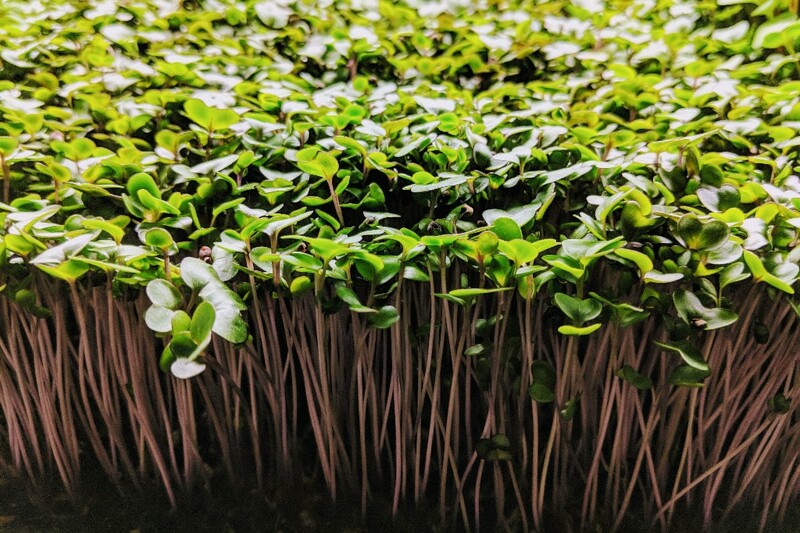 I’m ready for some new variety after a long winter of microgreen salads and eggs-every-which-way. I hope you’re ready, too! Come out and see me at the Winecoff Market tomorrow from 9am til Noon! I’ll have Pea Shoots, Radish Shoots, Sunflower Shoots, Pasture-Raised, Non-GMO Eggs, and also this week, Shiitake Mushrooms grown by my friends Brock and Mary Beth of Blue Merle Farm! I made a stir fry with shiitakes, onions and pea shoots this week… Scrumptious… What else can you find at the Winecoff Market? I’ll tell you what! Pastured Beef, Pork and Chicken, Salsa, Honey, Pimento Cheese, Chicken Salad, Fresh Fish, NC Apples, and so much more. I implore you to come on out and support local businesses that are trying to provide you with a quality product in a sustainable way! Have a great day, weekend and week! Do try to get outside and enjoy this marvelous creation that is our planet, and let it’s majesty soothe your soul!